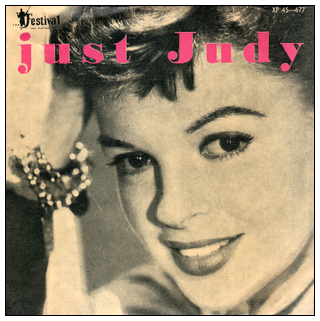 Festival Records in Australia released many of Judy's Decca records "Down Under" in the 1950's. Here is one of their 45rpm 7" compilations. All of these recordings can be found on the 1994 CD boxed set "Judy Garland - The Complete Decca Masters	(plus)."